The spiders came out early this year, in droves. Normally, spiders come around the beginning of Autumn… this year I started seeing them much earlier (this image was taken in August). But I guess it was just a weird year, as San Diego was having yet another unseasonably hot and humid summer. Now that it’s October, I thought a spider photo was appropriate for the After Before Friday Forum. 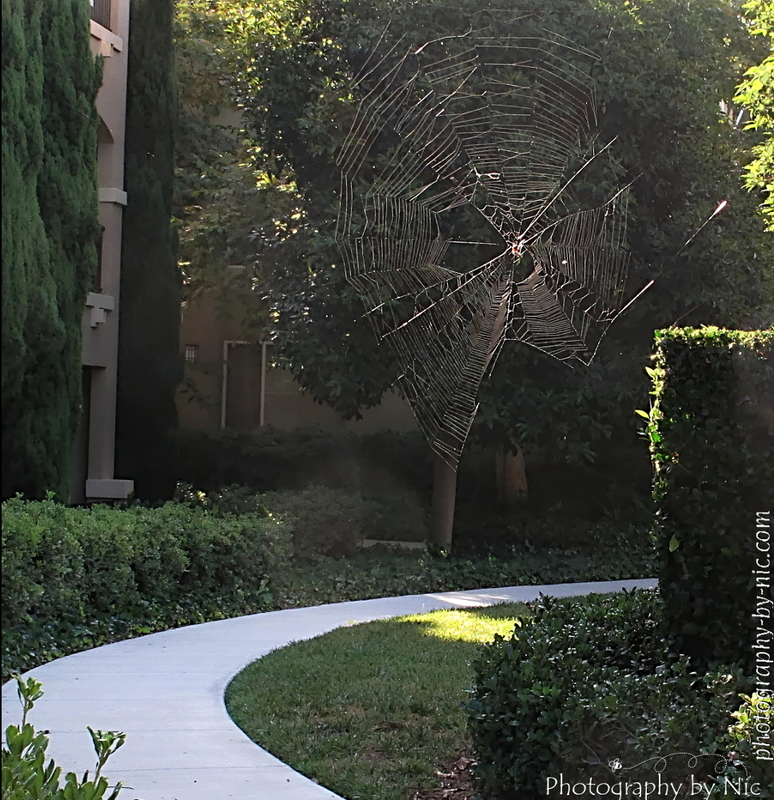 One morning I was out walking my pup and I nearly walked into this web! So, of course, I had to get out my camera and take a shot before I turned around and took a different path. I have joined ABFriday (after before Friday), it is a forum hosted by Ben at Aperture64. This week’s forum can be seen here. I actually did quite a bit of work on this image, especially on the over exposed leaves before I decided to crop the picture down to make the web the focus. Select-by-color white (overexposed) leaves – fill selection with a green chosen from one of the nearby leaves, change blend mode to Multiply, mask out parts I didn’t want filled with new layer, and change opacity to 45% (click image to enlarge). Add transparent layer, linear gradient black to transparent in upper right corner to darken leaf area a bit more, change blend mode to Overlay, change opacity to 50% (click image to enlarge). Create a new layer from visible; run dodge/burn script, reduce dodge layer opacity to 50% (click image to enlarge). 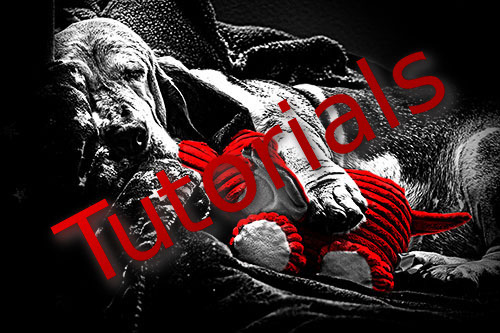 Create a new layer from visible; run wavelet decompose filter (default 5), delete wavelet layers 3-5 and residual layer (click image to enlarge). Create a new layer from visible; run G’MIC noise reduction filter (click image to enlarge). 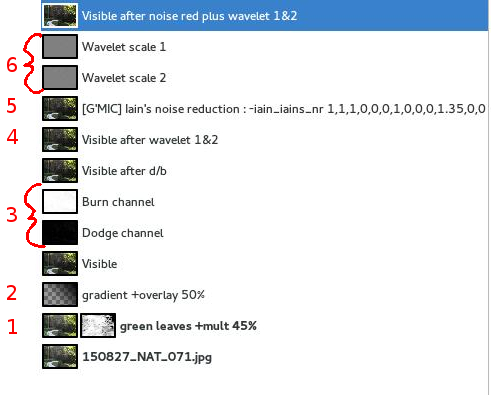 Move wavelet layers 1 & 2 above noise reduction layer to add a touch more sharpness. Create a new layer from visible – final image before crop (click image to enlarge). 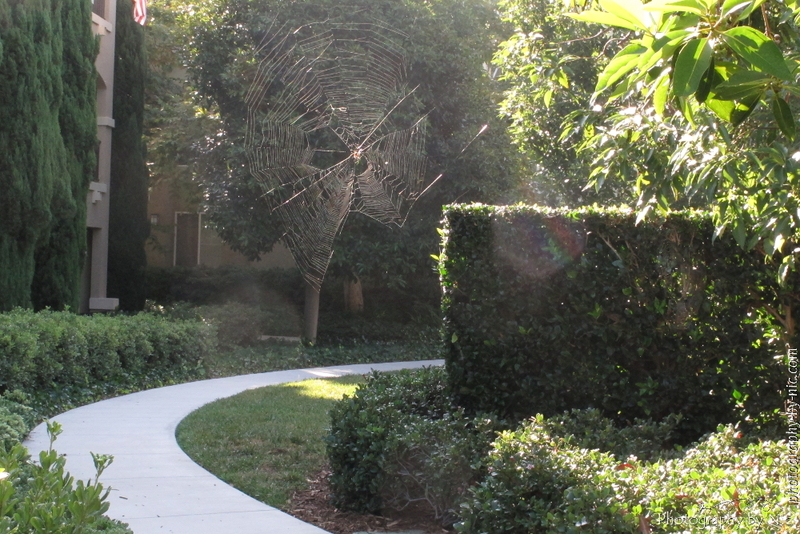 Then I decided to crop the image to make the spiderweb the focus, and I cloned out the flag in the upper left corner. This entry was posted in ABFriday, gimp. Bookmark the permalink. beautiful light on him!! Good job! Thanks, Cybele! 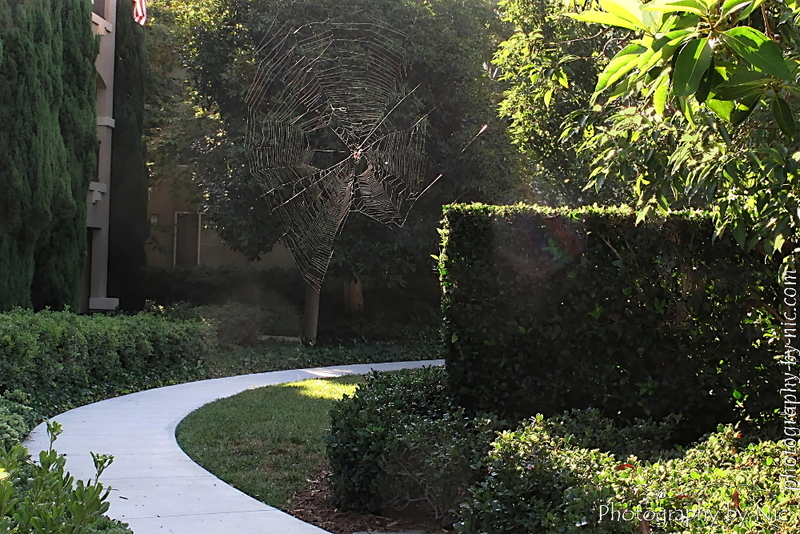 😀 The morning light hitting the spider webs is a beautiful (but creepy) sight. OK first, that is a huge web. And you did a great job highlighting it in the photo. ~ Apologies for the late reply, I’m in the middle of a system/hardware upgrade and don’t have access to my laptop at the moment.